How good is your visual power? How quickly can you identify mistake in the picture. Here are the picture puzzles to test your observation skills. In each of these puzzle picture there is one error or mistake in the image. 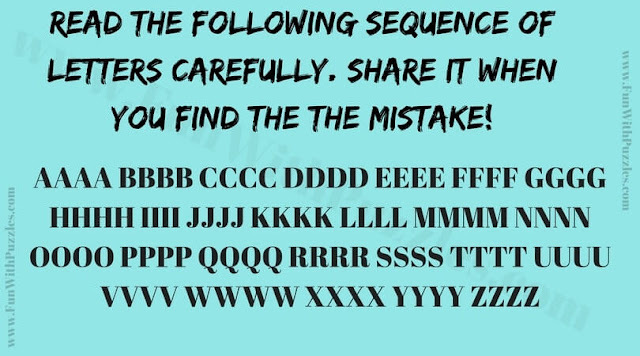 Can you find this mistake or error in each of the puzzle as quickly as possible? 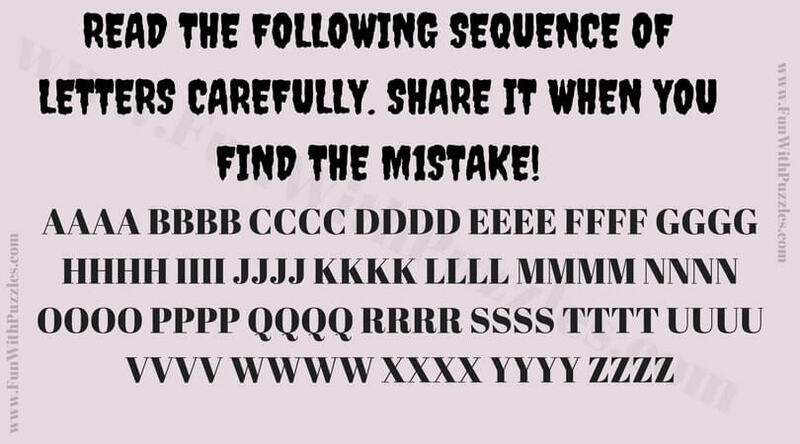 Answers to these Mistake Picture Puzzles will be given later. 1. Can you find the error in this picture puzzle? 2. 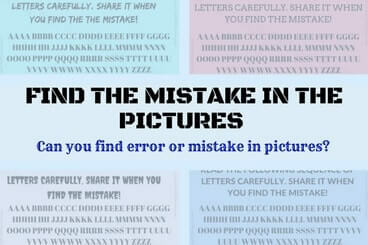 Can you find the mistake in picture puzzle? 3. Can you find error or mistake in this picture? 4. 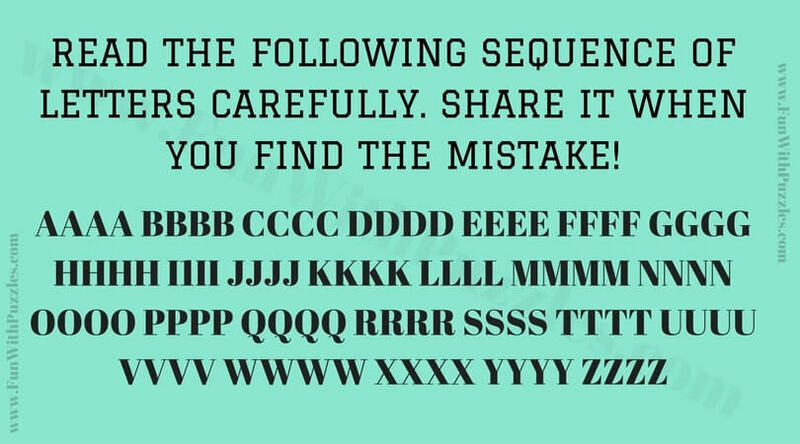 Can you identify What is Wrong in this picture puzzle? 5. 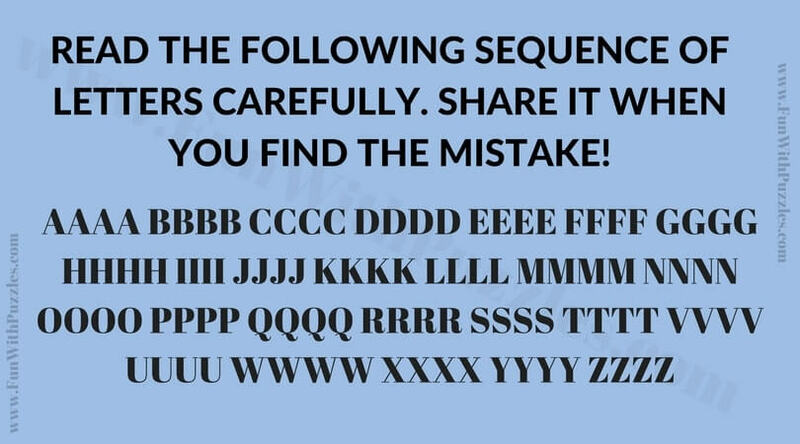 Can you find mistake in this picture puzzle?